Availability:Available for In-Store Pick-up ONLY! Specially formulated fuel blend is specially formulated for Ready-To-Run glow powered cars and trucks. O'Donnel Racing fuel contains an advanced lubricant package that provides engine protection equivalent with conventional lubricants containing 18% lubricant. This optimizes performance and maximizes engine life. Danger- Contains methanol and nitromethane. 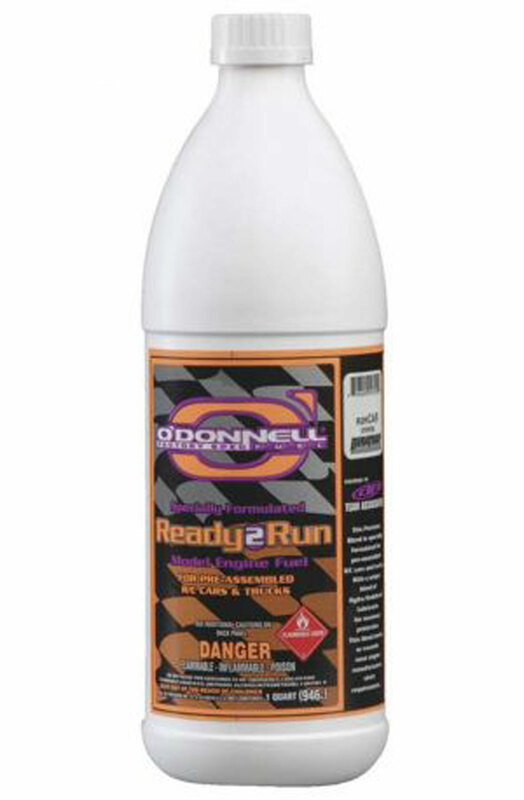 Keep away from heat orOne Plastic Quart Bottle of O'Donnell 30% Racing Fuel open flame. Cannot be made non-poisonous. Can cause blindness.Avoid contact with eyes. Use in a well ventilated area. Keep Out Of The Reach Of Children. 24-hour Emergency 800-424-9300.